Track software on network computers with 10-Strike Network Inventory Explorer! The software is designed for Microsoft Windows network administrators and IT managers. It allows you to maintain the network computer inventory database. 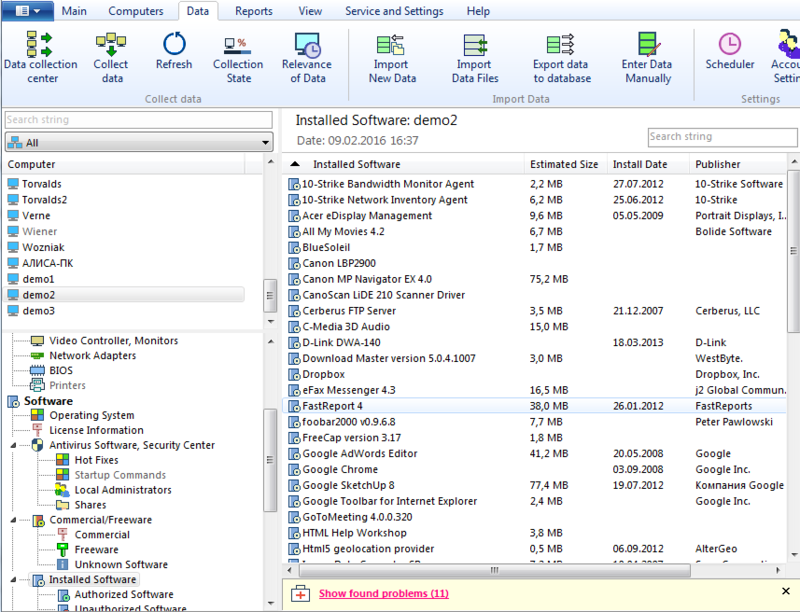 The program allows you to view the lists of installed software remotely. Track installed applications and startup programs. 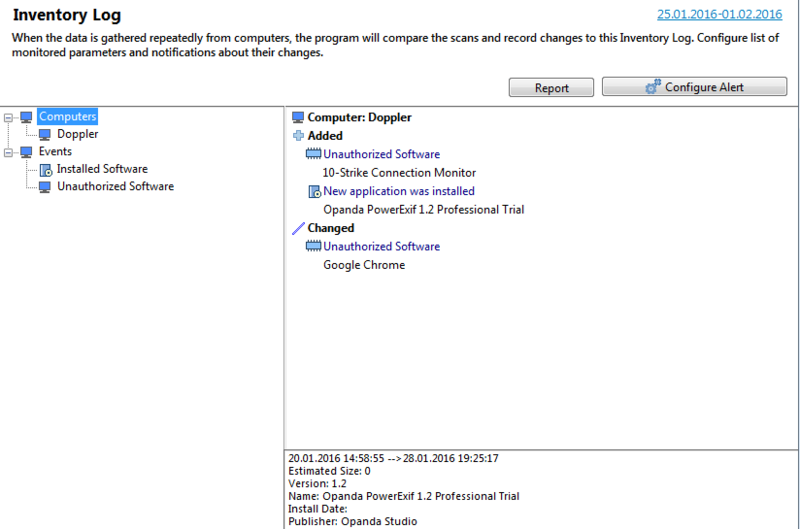 The program is installed on administrator's computer only and uses WMI technology for scanning hardware and software. It does not require any additional components on users computers. The program tracks software and audits its changes writing information on modified data to the inventory log. 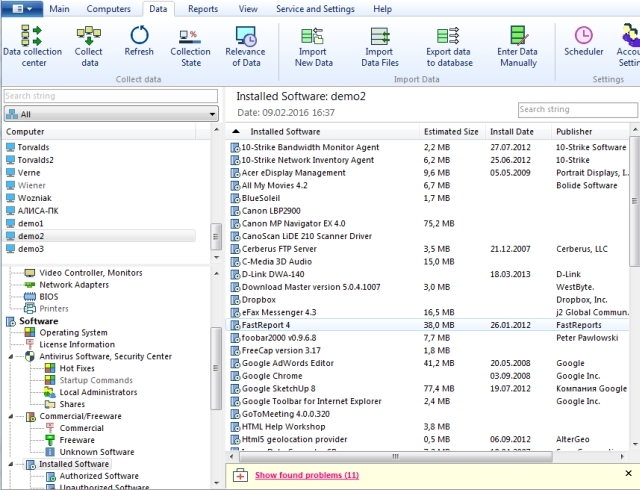 Discover newly installed software on network computers. Audit installed updates and hotfixes.